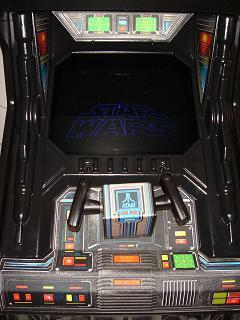 My Star Wars was already in great shape when I received it. 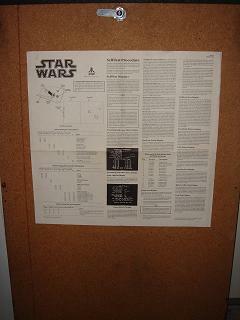 The above pictures were from Ebay, then when first home, then the finished product. 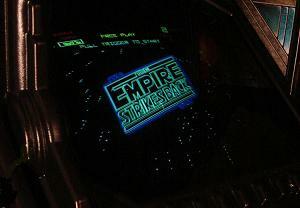 By far the most important improvement was installation of Mark Spaeth's Empire Strikes Back Conversion Kit. 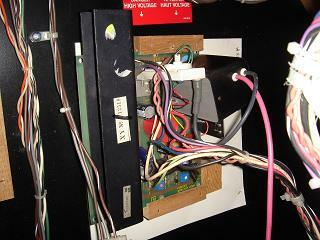 I added the switcher in one of the bezel screw holes, and now have two games in one. 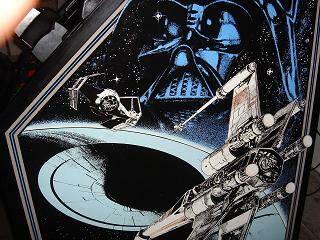 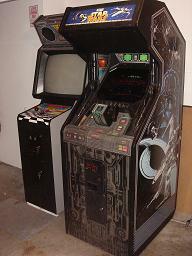 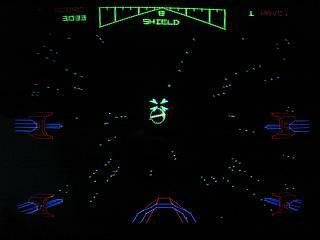 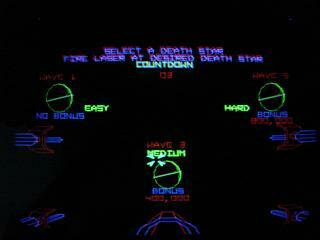 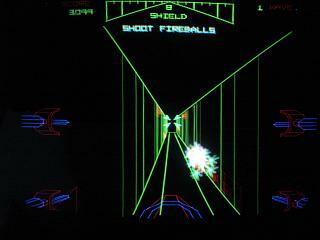 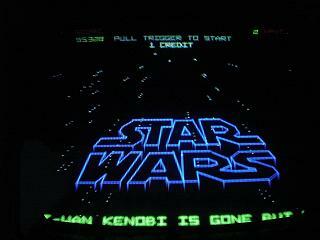 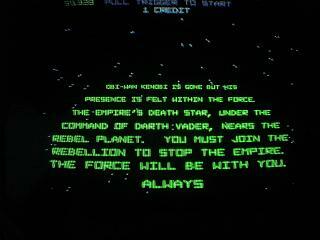 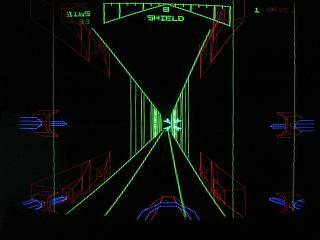 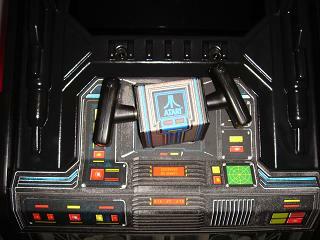 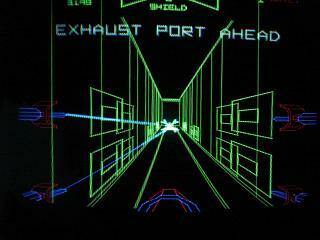 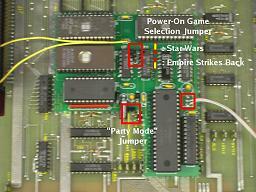 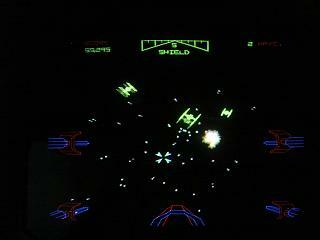 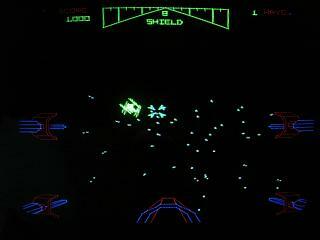 Check out a Youtube video of it in action here: Star Wars / Empire Strikes Back Arcade Game. 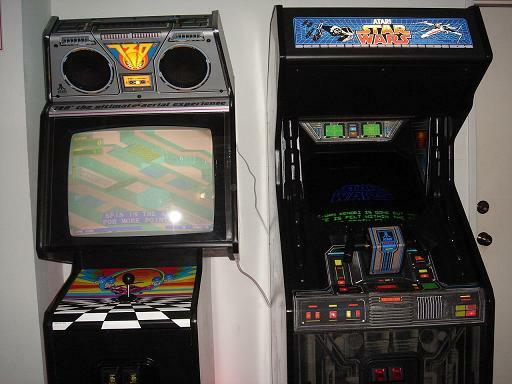 I replaced the Marquee Overlay, Yoke Overlay, Control Panel Overlay, added new T-Molding and cleaned up the screen glass and black border. 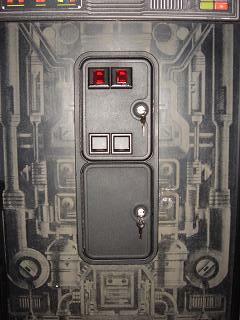 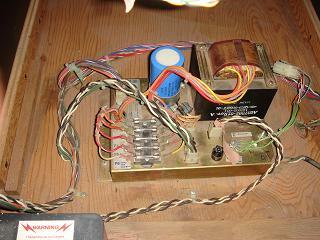 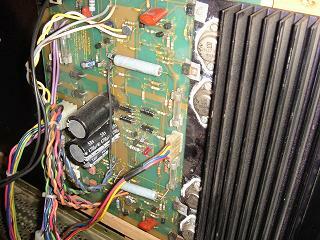 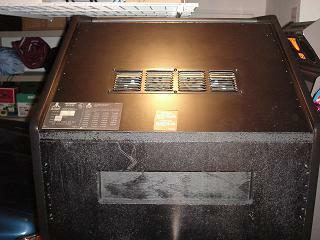 The front panel and coin door were in great shape to begin with. 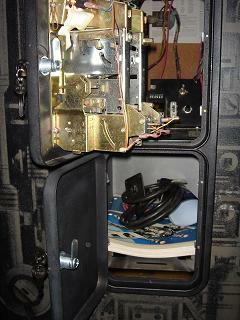 The locks were missing, so I added a new matching set to both in the coin door and the back door. 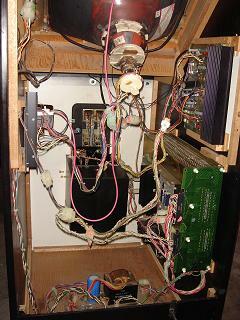 The inside of the front panel was very clean. 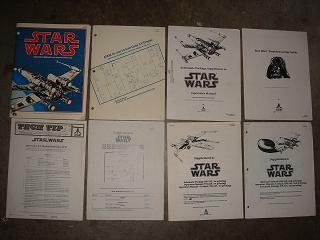 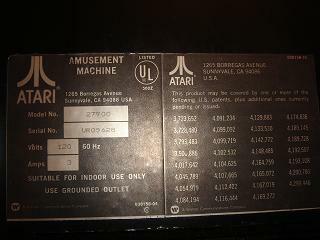 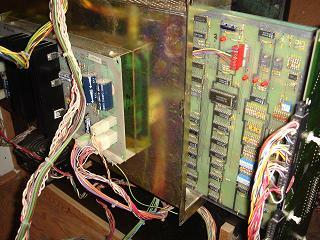 The game came with a full set of manuals, schematics, revisions and a few spare parts. 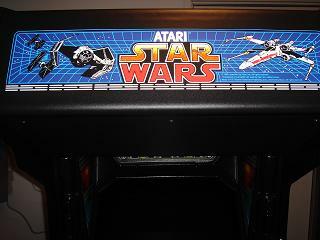 The side art was in excellent shape to begin with. 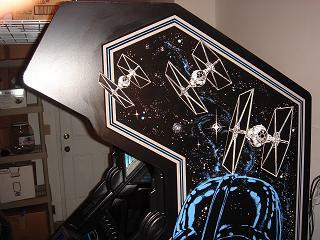 I did a few very small touchups to the art and am very happy with how it looks. 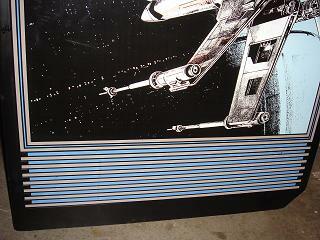 A quick touch up with spray paint took care of scratches on the back which had allowed the wood to show through. 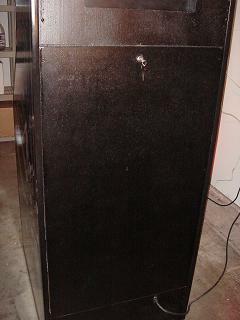 The serial number, patent decals and backdoor sheet are all in place.